Plus size model Jennie Runk has seen a lot in her career, which spans more than a decade. Runk first started modelling when she was a teenager, and at the time, she wasn’t that interested — she told Business Insider that she was more interested in reading the next Harry Potter book. In fact, this level of disinterest made it easy for her to brush off requests to lose weight to be a straight size model; she just embraced who she was and opted for the plus size label. But a lot has changed since Runk first started modelling. She’s developed a platform — and the modelling industry as a whole has transformed tremendously, too. She’s witnessed it all firsthand. It’s true: between Ashley Graham gracing the cover of Sports Illustrated and Iskra Lawrence becoming the face of Aerie, plus size models have been gaining more traction, especially as the body positivity movement garners more support. YouTubeRunk in her H&M campaign. 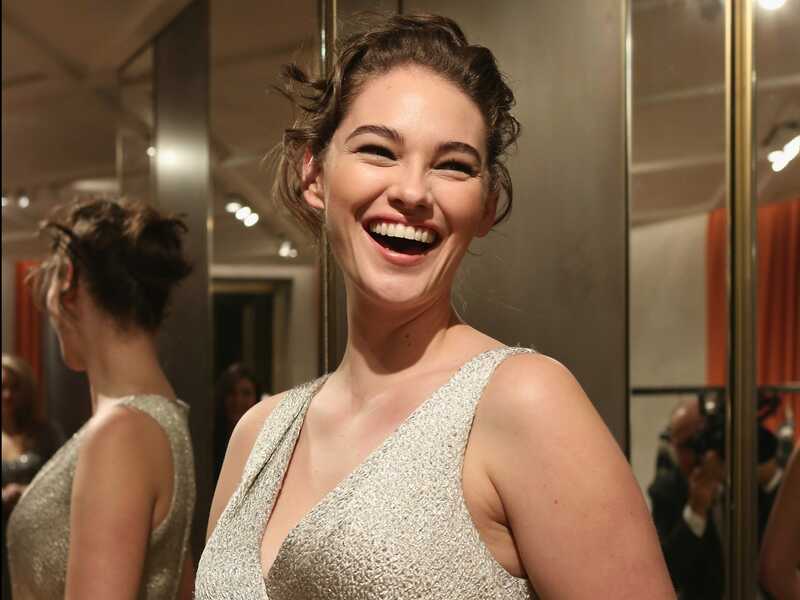 Runk’s names made headlines when H&M featured her in a swimsuit campaign in 2013, making her the first plus-size model to do so for the brand. And even more significantly, the company was subtle about it, treating Runk as any regular model, without making a spectacle about it. But despite the obvious leap for womankind that H&M made by not making a big deal about hiring a plus size model, Runk doesn’t want to hide who she is. Rather, she is all for promoting the fact that she is a plus size model. “So, I love the word and I love the label and I embrace it — I might be on the smaller end for a plus size woman, but I am definitely a plus size model,” she said.